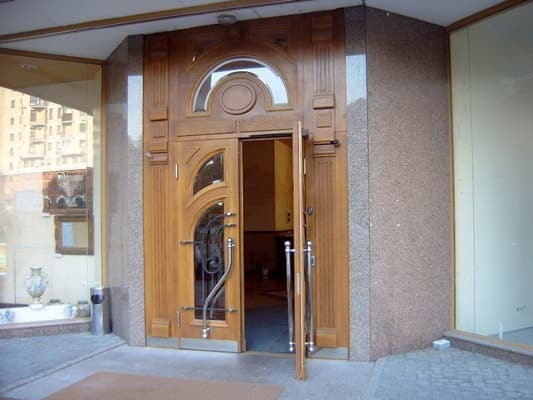 The hotel "Attache" is located in the elite residential complex "Diplomat Hall" in the very center of Kiev, in close proximity to the railway station, Vokzalnaya metro station (1.2 km), University, Botanical Garden. 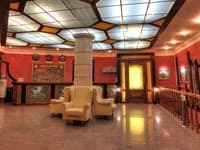 The hotel offers accommodation in 20 cozy and modern rooms, decorated in the style of European classics. Rooms are equipped with modern furniture and appliances, as well as breakfast included in the price of the room. Free Wi-Fi is available throughout the hotel. 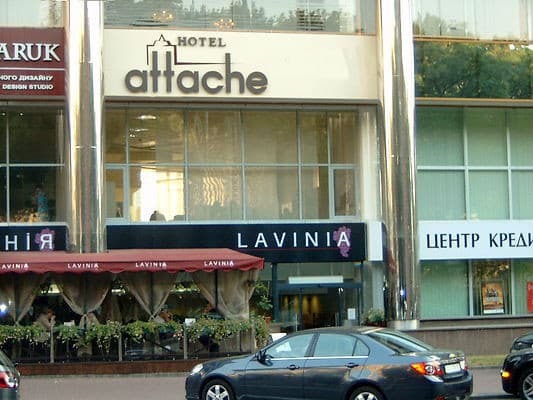 At the Attache hotel there are additional services: booking railway and air tickets, booking tickets to theaters, booking tables in restaurants. The distance from the railway station is 1.1 km, from Borispol airport - 37.7 km. It is possible to organize a transfer to / from the airport Borispol. before the Independence Square 3 km. Description of the room: Each client can choose a room with a double bed, the interior of which will match any preferences. 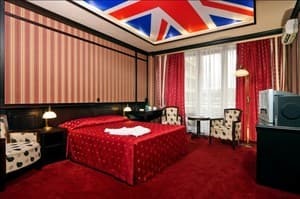 The hotel has rooms with British, French, Turkish, Canadian, Israeli flag. Room size: 30-33 m². For single use there is a discount. In addition, a tourist tax of 1% of the total cost of living is paid. 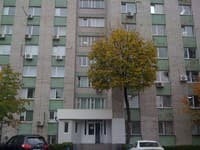 Description of the room: The apartments, in which there are two single beds - an excellent offer for two colleagues who visited Kiev on business. Room size is 33 m². For single use there is a discount. In addition, a tourist tax of 1% of the total cost of living is paid. 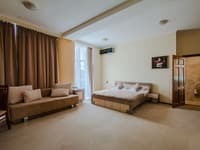 Description of the room: Apartments of this class are not just a hotel room for one day, but your own cozy apartment with two bedrooms and a living room. The room area is 72 m². The room has two rooms with double beds, a living room with a leather sofa, a bar counter with a built-in electric stove. It can accommodate 4 people for an extra charge. For single use there is a discount. In addition, a tourist tax of 1% of the total cost of living is paid. Children under 6 years without an extra bed are free. 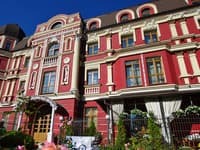 Extra bed - 150 UAH per night. 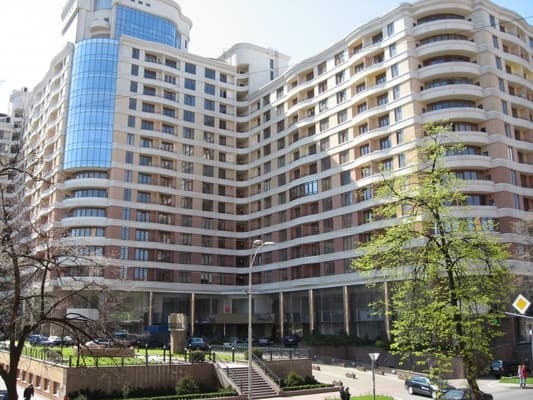 The hotel "Attache" is located in the elite residential complex "Diplomat Hall" at the intersection of Zhilyanskaya and Pankovskaya streets. The distance from the railway station is 1.1 km, from Borispol airport - 37.7 km. It is possible to provide a transfer from / to Boryspil Airport with a cost of 280 UAH.